Click here for a sneak peek at what we're working on next! Want to hear when our next opioids course is live? Sign up for alerts using the button below! Understand how mental health conditions such as mood disorders, anxiety disorders and a history of trauma may contribute to and complicate the management of chronic non-cancer pain (CNCP) and substance use disorders. Explore how to use brief interventions and referral for treatment for patients with these overlapping conditions. Consider ways to incorporate trauma informed care into practice. Describe how mental health disorders and trauma are risk factors for both chronic non-cancer pain and opioid use. Routinely screen for anxiety, depression, and substance use disorders in patients with chronic non-cancer pain. Implement evidence-based approaches to the management of anxiety disorders in patients with chronic non-cancer pain and patients with opioid use disorder. Incorporate a trauma-informed approach to care for people with pain, substance use disorders and/or mental health disorders. This Self-Learning program meets the certification criteria of the College of Family Physicians of Canada and has been certified by the McMaster University Continuing Health Sciences Program for up to 2 Mainpro+ credits. This activity is an Accredited Group Learning Activity (Section 1) as defined by the Maintenance of Certification program of The Royal College of Physicians and Surgeons of Canada and approved by McMaster University, Continuing Health Sciences Education Program for up to 2 MOC Section 1 hours. Understand your role in minimizing opioid-related harms through patient education and safe prescribing and dispensing practices. Learn how to assess patients on opioids for adverse effects, and when and how to taper and switch opioids. Select patients who are likely to benefit from opioids and are at a lower risk of harm. Use strategies to reduce the risks of opioid prescribing. Assess patients who are on higher doses of opioids for chronic non-cancer pain to determine who would benefit from an opioid taper. Implement a safe opioid taper or rotation. Thank you to Drs. David Daien, Megan Messenger and Eric Wooltorton as well as the members of the Expert Panel for their invaluable contribution. This Self-Learning program meets the certification criteria of the College of Family Physicians of Canada and has been certified by the McMaster University Continuing Health Sciences Program for up to 1.5 Mainpro+ credits. This activity is an Accredited Group Learning Activity (Section 1) as defined by the Maintenance of Certification program of The Royal College of Physicians and Surgeons of Canada and approved by McMaster University, Continuing Health Sciences Education Program for up to 1.5 MOC Section 1 hours. Using case studies, learn how to identify patients who would benefit from buprenorphine treatment in a primary care setting. Understand how to manage buprenorphine prescriptions, including; dose adjustments, side effect management, monitoring, observed versus take-home dosing, the role of urine drug testing. 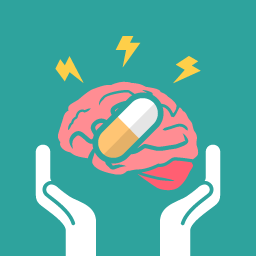 Learn about the importance of co-morbid mood and anxiety disorders with respect to relapse prevention and the importance of trauma histories in relation to opioid use disorder. Review the role of opioids in the brain and the signs and symptoms of withdrawal. Learn how to identify patients with opioid use disorder and outline the management options for opioid use disorder including the role of opioid agonist therapy with buprenorphine. Educate patients on strategies to prevent opioid overdose including the use of naloxone, a vital tool for overdose prevention.